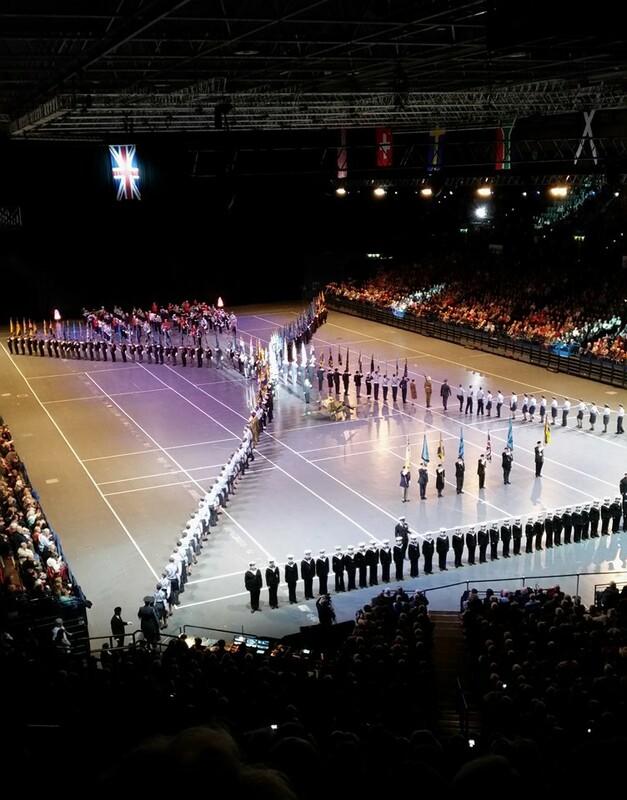 On Sunday 29th November, a group of staff, cadets and friends of 84 Squadron travelled to Birmingham Barclaycard Arena to watch the 75th Birmingham International Tattoo. 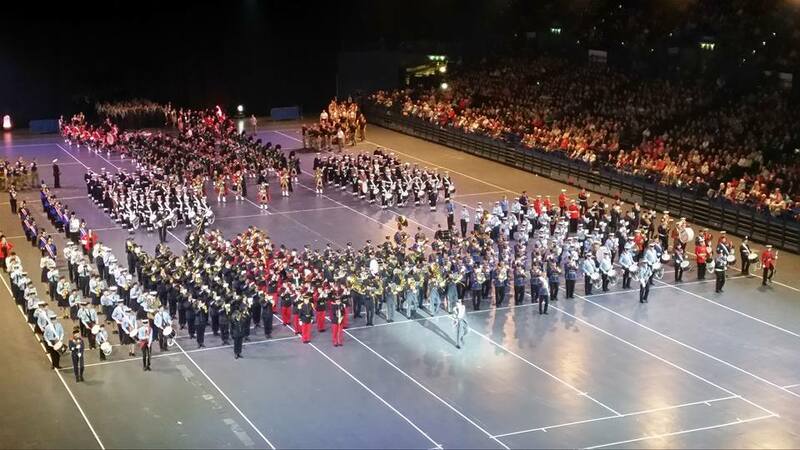 The event was a spectacular show filled with pomp, pageantry and plenty of clapping! The group from 84 Squadron were amongst approx 500 Air Cadets attending the event in the packed auditorium in the centre of Birmingham. Following a rigorous security check of bags and coats the group took their seats high up in the stands and waited for the show to begin. At the very start there was a formal parade of standards followed by the National Anthem and an opening prayer sung by singing sensation Rebecca Robinson. The following three hours were then filled with a wide variety of musical acts including the Central Band of the Hungarian Defence Forces, The National Youth Marching Band and traditional Tattoo Massed Pipes and Drums to name just a few. These were interspersed with displays by the Fireball dog racing teams and the highly competitive Field Gun Teams from the Royal Navy, Air Force and Army. Unfortunately the Air Force lost out this time to the Navy but it was a close run match and the excitement in the whole stadium was immense. Other acts were the incredibly Italian Fanfara Bersaglieri Band di Lonate Pozzolo who not only have fantastic musical skills but they do it all whilst running around in formation! There was a huge standing ovation when the Band of the French Army from Lille came on to perform and they showed their strength, and solidarity in their superb performance. Throughout the show there were laser displays and even a confetti cannon timed perfectly with the music during the Grand Finale. 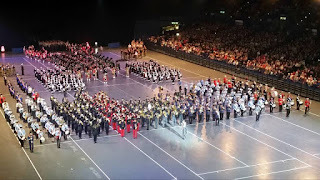 At the very end, all the performers returned to the arena as the Royal Air Force Queens Colour Squadron gave the General Salute to mark the end of the show. The Cadets and staff returned home feeling tired from all the clapping but had such a memorable day out and are already looking forward to attending next year's spectacular!